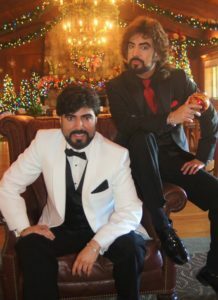 The award-winning duo, the Chrisagis Brothers, have certainly made a name for themselves in quality entertainment, in Christian churches and arenas everywhere. Shawn and Brian Chrisagis have traveled throughout the U.S. with their powerful music ministry. They have a radio show heard on two different channels plus internet and youtube. 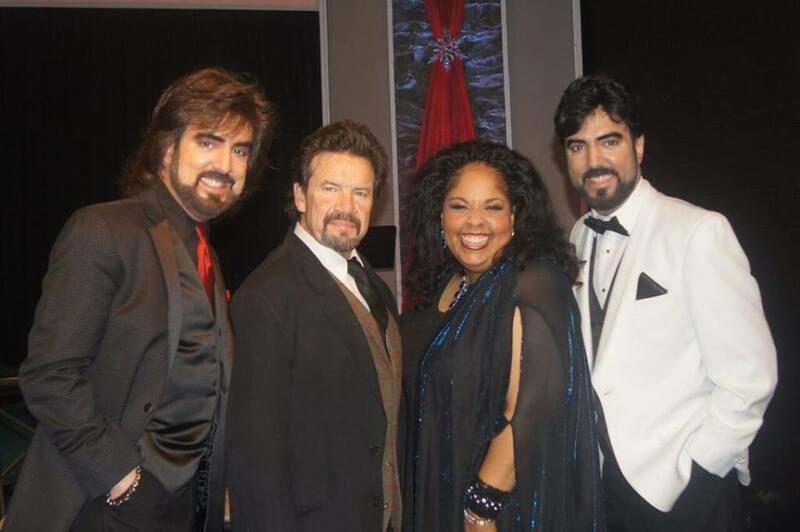 The Brothers have gotten to be well loved and respected by top legends in CCM and Southern Gospel Music. They have two explosive Christmas Concerts starting this month. 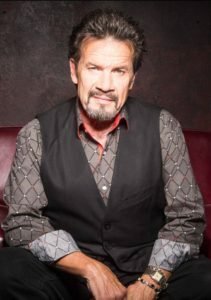 Dove Award Winner, plus CCM Hall of Famer, Russ Taff, who has become a dear friend of the Brothers, will be joining them once again for the third year. 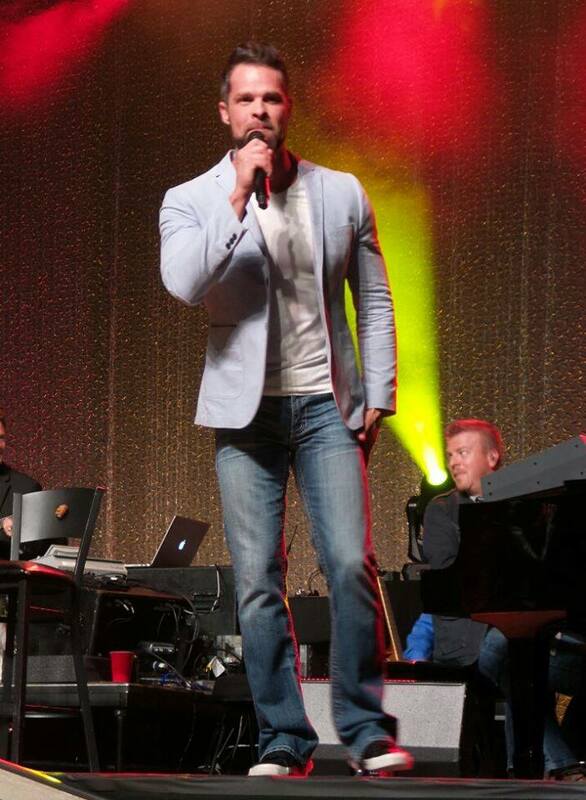 This year, the brothers have added the amazing vocalist of the Gaither Vocal Band, Adam Crabb, to the concert. The Chrisagises will be doing the title song with Taff and Crabb. You don’t want to miss these four talented and anointed men together on one stage. and wonderful traditional memories. Bring your family and friends to worship and celebrate the Christ in Christmas at Faith Fellowship Church in Bellaire, Ohio, at 6:30pm. O’Neill, who the Brothers have known and worked with for the last 27 years. The Conference will feature Angela Primm and Nancy Stafford from Matlock tv series fame. Plus, they will be going to the Holy Land in April for a 10-day ministry tour. The concerts overseas will be televised and will be a powerful witnessing tool for the Jewish nation. 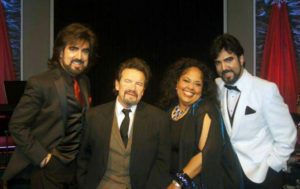 Legendary CCM artists will join them, like Paul Clark, and Chuck Girard from Love Song. 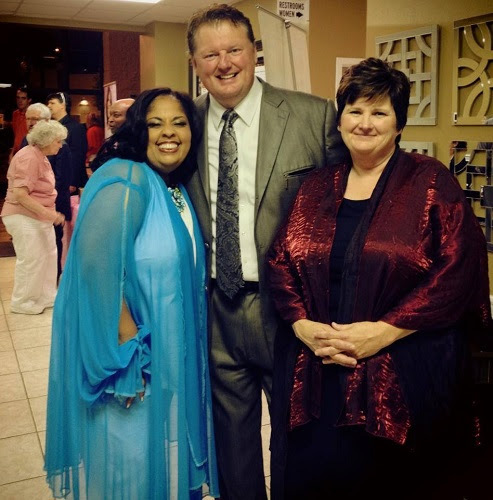 Glasgow, KY Join the Sneed Family as they host a Benefit Concert featuring Gaither Homecoming Artist, Angela Primm, along with the Liberty District Mass Choir. The Event will be held on Friday night, October 24 at 7:00 CST at the Plaza Theatre in Glasgow, KY. The benefit is being held to help the Ralph Bunche Community Center which houses the Community Kitchen and has been home to Big Brothers and Big Sisters, Boys and Girls Club and many organizations that help the community. In Glasgow, Kentucky, the Ralph Bunche Community Center which was created to support community relations and cultural understanding, was named in honor of Ralph Bunche and is located at 301 Bunche Avenue, Glasgow, Kentucky. Angela Primm , known for being the premier studio artist in Nashville is now performing in her solo career and having outstanding success as audiences are lifted to higher heights of joy. “When Jeff asked me if I would like to be a part of this great Event and explained the far reaching affects to the community of Glasgow I jumped at the opportunity.” commented Angela Primm. The Sneed Family is no doubt that most popular Gospel group in all of Kentucky, so their performance is sure to be exciting and have a little country flair to the music. Tickets are available by going online at http://www.plaza.org/ or by calling 270-361-2101. Please join us in helping this center. To learn more about Angela go to www.angelaprimm.com or https://www.facebook.com/angela.hewlettwrightprimm . Twitter her at https://twitter.com/AngelaPrimm . To learn more about the Sneed Family you can go to http://www.sneedfamily.com or https://www.facebook.com/sneedfamily . Nashville, TN (September 18, 2014) Angela Primm is no doubt known for being the most successful backup singer in the recording industry throughout all of Nashville. You have her melodious voice on such recordings as Reba McEntire, Aretha Franklin, Dolly Parton, Andre’ Crouch, Barbara Mandrell, Patti Austin, Bill Gaither, and even the late Vestal Goodman. This phenomenal singer who has sung as backup for some of the greatest singers in the world is poised to enter that same arena as a powerhouse Gospel singer in her own right. After Bill Gaither tapped her on the shoulder and designated her as one of his featured soloists on his famous Gaither Homecoming Videos, it was evident that the time had come for Angela to stretch herself and produce a major recording of herself. What better atmosphere to record in than the songs of one of her heroines, namely mega-star herself, Mahalia Jackson. Mahalia Jackson was known for being able to sing the simple songs of the Gospel and bring them to life with her spirited singing. No one can bring as much enthusiasm to Mahalia Jackson’s songs than Angela Primm. Angela will be bringing the old standard hymns and spirituals with all the dignity they deserve, yet adding her own personal touch which is sure to rapture your soul to new heights of ecstasy. Now for a couple of stark facts. Angela is not one of those artists born with a silver spoon in her mouth, nor does she have a big record label to finance this exciting project. The truth is recording such a monumental project as this requires money, and a good bit of it. Producers, engineers, musicians and studios all have to be paid at the time of the recording. This is where you come in. Angela Primm needs your help and support to accomplish this enormous task. The total cost of this memorial project, which is sure to touch the lives of millions of souls, is $28,000.00. That sounds like a tremendous amount, but in actuality if Angela’s friends and fans who believe in what she does will help just a little, this mountain can become a molehill. The Kickstarter program allows you to be a vital part of the ministry of Angela and also allows you to get a much greater insight into who and what Angela is. There will be many surprises for you the supporters as well as some very nice benefits. How would you like to give a private concert for you and your close friends in the Nashville, TN area? How would you like to have Angela sing Happy Birthday to you or one of your loved ones on the phone, the day of that big birthday? How about on your anniversary? A lot of very exciting things will be happening as a result of this Kickstarter program, plus you will be helping Angela go on about doing the Father’s business. Your time to help is NOW!!!!!! Click the link below to help Angela TODAY!!!!! $25 – A signed copy of one of Angela’s previously recorded CD’s (you choose which one) and a personalized hand-written Thank You note from Angela. $50 – An ADVANCE copy of the NEW CD and a personalized hand-written Thank You note from Angela. $100 – INCLUDES an ADVANCE copy of the NEW CD, an autographed picture and a personalized hand-written Thank You note from Angela. $250 – Want Angela to personally call you on the phone and sing your favorite song to you? Here’s your chance! INCLUDES an ADVANCE copy of the NEW CD and a – Includes personalized hand-written Thank You note from Angela. $500 – Personalized video greeting from Angela and her singing a song of your choice! Includes an autographed Angela Primm picture, an autographed copy of the NEW CD as well as her current CD and a personalized hand-written Thank You note from Angela. $1000 – (Limit 6) Be in the studio as Angie records the new project. A view from behind the scenes for one day. Includes an autographed copy of the NEW CD as well as her current CD and a personalized hand-written Thank You note from Angela. $2500 – (Limit 4) Here’s your chance to have Angela sing LIVE at your church! Angela will come to your church and perform a concert and/or perform as part of the worship service, whichever you desire. (within 250 mile radius of Nashville) Also includes a private meeting before the concert for you and a few close friends as well as an autographed copy of the new CD. $5000 – (Limit 2) Not close to Nashville but still want Angela to sing at your church? Here’s how! Angela will visit your church (anywhere in the continental US) and perform a concert and/or perform as part of the worship service, whichever you desire. (Travel and lodging accommodations INCLUDED) This also INCLUDES an autographed copy of the NEW CD. $10,000 – (Limit 2) WOW!!! Come to Nashville and spend the day with Angela! She will show you around Music City and take you on a tour of one of Nashville’s famous recording studios! INCLUDES an autographed copy of the NEW CD. (you must provide your own travel and lodging) Your name will be printed in a special thank you section inside the CD booklet of my new album. 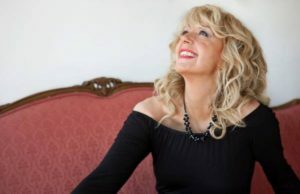 If you would like to book Angela for you church or concert E-mail her at angela@angelaprimm.com or Twitter her at https://twitter.com/AngelaPrimm . Angela Primm is one of the premier voices of our time. Her musical history spans genres, continents, and audiences. She has commanded the attention of mega-stars from Aretha Franklin, Barbara Mandrel, and Brooks and Dunn to Southern Gospel music legends, Dolly Parton, and the late Vestal Goodman. Her current and inevitable step as solo artist is the natural progression of a life divinely designed. Angie is also a wife and business woman. True to her down-to-earth personality, she considers her most important achievement to be marrying her soul mate, John Primm. A successful business man as well as fine vocalist himself, he is Angie’s biggest fan, chauffeuring her and caring for her on many of her personal appearances. He knew how to love her 20 years ago and continues to do so to this day. 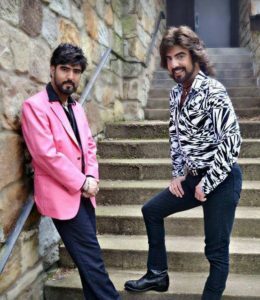 Together, they established “Still Waters, Christian Light Club, Inc.,” a live Christian cabaret that never compromises the Gospel. The fresh and exciting show is a huge hit in Nashville! Angela was raised in the church by her precious mother, who was also a singer. Angie’s mom would sing the foot-stompin’ and joyful, “Couldn’t Keep It To Myself!” with such fervor, she would often lose her wig; but she would swoop it up and place it back on her head – backwards, and not miss one beat of her favorite song! Church members would laugh and shout right along with her! (Telling this particular memory of her mother makes Angie rear back in laughter herself!) 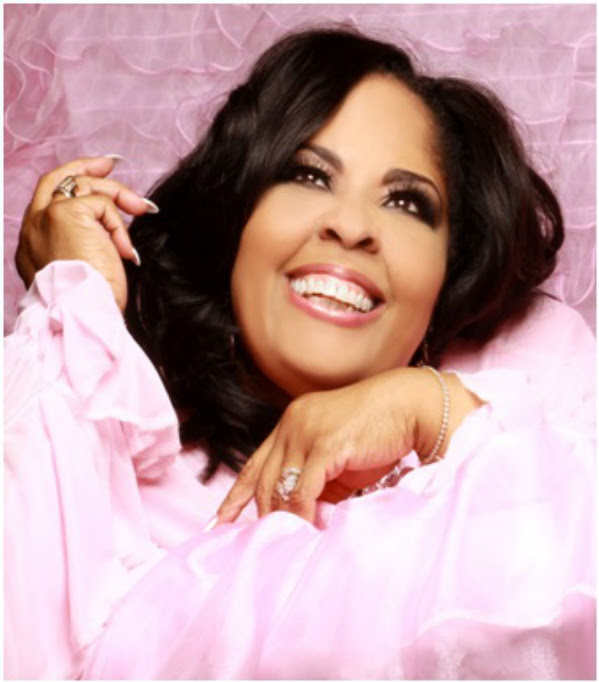 “Couldn’t Keep It To Myself!” is also a favorite song of Gospel legend, Bill Gaither and is featured on Angela Primm’s sophomore project, Sanctuary. This CD along with her debut CD, A Little Bit of Heaven have been selling out wherever Angie performs – from concerts to cruises. Bill and Gloria Gaither have embraced her as a daughter and always make room for her to sing in their sold-out concerts and Gaither videos. Angie’s beautifully wide smile lights up a room and her fun-filled disposition carry an exuberance that is electric and contagious! Moreover, her anointed and powerful voice makes the cares of this world melt into puddles at your feet. Angela Primm is “a little bit of heaven” to those blessed to know her, or experience her music, her joy, and her wonderful laugh!